Musisi Patrick Nkakalukanyi was born on July 21st 1991 to Sebina Musoke Micheal an accountant and Christine Nansubuga Nabawanuka – a business woman. He is the last of 10 siblings grew up in a small town called Mawokota in today's Mpigi and went to old Kampala primary school for his elementary school, then moved to Seeta boarding school for his primary education. After that he did secondary school at Uganda martyrs secondary school Namugongo. In 2009, he sat for his advanced level exams. In the same year while in his vacation, the then Producer of "tricksters" that aired on NTV for sometime, Mrs. Jackie Senyondo gave him a role during his vacation and he continued with "tricksters" even at the university. 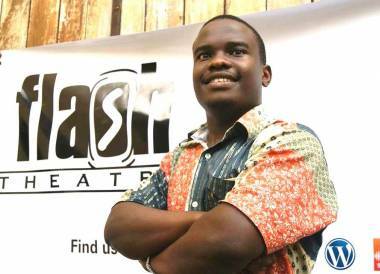 In 2011, he auditioned and secured a role in a much acclaimed play of the year entitled "Silent Voices" by Judith Adong, a play about the war in northern Uganda and the ensuing amnesty program where he played 'Omony' a son to a murderous woman traumatized by her past. Soon after that, he landed a role in Moses Ray's "The Counsellor" where he played a young husband desperate to save his marriage. In 2013 he was the face of the "Sadolin Color your world commercial". He has also featured in a short film "rhythms of life" where he portrays a pastor with ulterior motives. He played teacher Nathan in Jayant Maru's "K3nt & Kat3" a film about the struggle of children faced with dyslexia in the African education setting. He recently concluded work with Usama Mukwaya of o studios on "Tik-Tok" a short film about time and how quickly it eludes us and the production for a series with Mathew Bishanga.